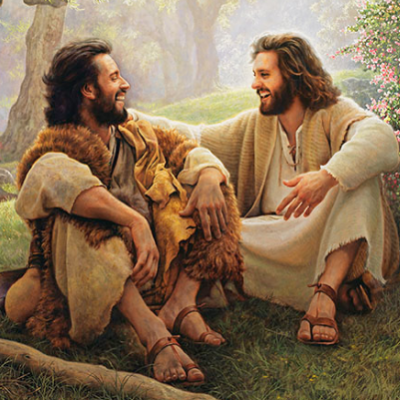 Home > News > Musings > What Would Jesus Tell You? Tonight, you are at home, in the last hour before your bedtime. Suddenly, Jesus is there in your room visible, what would He say to you about your week? Each Sunday, we say that we believe that He will come again to judge the living and the dead in the Nicene Creed. It can feel overwhelming to consider one’s whole life under the loving but just scrutiny of the Lord Christ. So, as an exercise, just zoom in on the past week. Jesus describes the Son of Man coming to judge all people at the end of time in Matthew 25. He says that the judgment starts by commending the positive actions of the Just. That is important, because when we face authority, we always seem afraid of being found in the wrong. In the parable, Jesus says the Judge starts with the good deeds. So, if you were to consider the last week, for what actions or words do you think He would speak your name and say, “That was well done? Can you imagine Christ blessing you for some things that were not on your list? The surprise of the Just is part of the point of His parable. The Just never thought that the good deeds that they were doing were noteworthy. So for what this week, do you think Jesus would say, “Well done”? Just suppose He comes to your house tonight. I invite you to this Lenten exercise.